We recently defended a Church in Pittsburgh that had been sued by its former Pastor for breach of an employment agreement. The Pastor’s claim was that, while his employment could have been terminated by the Church at any time and for any reason, he was entitled to significant severance benefits because the termination of his employment was not for the reasons expressly specified in the employment agreement (i.e., for “cause”). The Pastor argued that the only grounds for a “cause” termination under the employment agreement were a 1) a serious moral or criminal offense, or 2) incapacitation, of which there was neither. The Church argued, among other things, that the Pastor had been hired to lead and grow the Church and that, in this respect, he failed. The Church claimed that the Pastor’s alleged failure to accomplish the goals established by the Church constituted a material breach of the employment agreement and “cause” for termination of his employment. United States District Judge Nora Barry Fischer wrote an impressive 65-page Opinion in Lee v. Sixth Mount Zion Baptist Church, et.al. (W.D. PA. C.A. No. 15-1599 (August 22, 2017)). In an exhaustive analysis of the current state of the law as it relates to the First Amendment, the Ministerial Exception, the Free Exercise of Religion, the Establishment Clause, and the Deference Rule and Excessive Entanglement Consideration, the District Court dismissed the Pastor’s Complaint. While the case is currently on appeal to the Third Circuit Court of Appeals, the District Court’s Opinion deals with critical issues of religious rights and church governance and is the first significant case dealing with these issues in the U.S. Third Circuit Court of Appeals since the Hosanna-Tabor case in 2012. For this reason, we are including, immediately below, that portion of the District Court’s Opinion dealing with these issues. D. First Amendment: Ministerial Exception, Free Exercise of Religion, and Establishment Clause Excessive Entanglement Considerations. The Court raised with the parties prior to the hearing and must now decide whether this matter should be dismissed based on First Amendment concerns. The decision of who should be the head of a religious institution is ordinarily left to that institution unfettered and without court review. This principle is firmly established in both federal and Pennsylvania law. Neither party initially addressed this salient issue that quite readily presents itself in any case contesting the termination of the lead Pastor of a church. Peppered throughout the filings in this matter are core church doctrine, congregational rule and polity, as well as matters of spiritual concern­ several matters that threaten curtailment of free exercise and excessive entanglement by this Court. These issues must be fleshed out as it were prior to any possible trial, as admitted by the parties. (Tr. 5/12/1 7 at 3 I. 34-35. 37, 43, 46-47). The time for the Court to take up the laboring oar is now. The “ministerial exception” applies to Lead Pastors, such as Rev. Lee, but also to other ministerial employees. Whether the ministerial exception applies “rests not on  ordination status or  formal title, but rather on  functional status as the type of employee that a church must be free to appoint or dismiss in order to exercise the religious liberty that the First Amendment guarantees.” Hosanna-Tabor Evangelical Lutheran Church & Sch. v. E.E.O.C., 565 U.S. 171, 206 (2012) (Alito, J., concurring). In certain religious institution employment cases, the court is tasked with determining if the employee serves in a ministerial capacity. Petruska, 462 F.3d at 304 n.6 (determining that ministerial function is satisfied where the individual’s “primary duties include teaching, spreading the faith, church governance, supervision of a religious order, or supervision of participation in religious ritual worship.”). It is beyond purview that Rev. Lee as the head Pastor of the Church served in a ministerial capacity. 565 U.S. at 189 (emphasis added). Hosanna-Tabor unequivocally provides that: “the authority to select and control who will minister to the faithful — a matter strictly ecclesiastical — is the church’s alone.” Id. at 195 (internal citation and quotation omitted). Id. at 194-95 (internal citations and quotations omitted). Hosanna-Tabor, 565 U.S. at 199 (Alito, J. concurring). “When it comes to the expression and inculcation of religious doctrine, there can be no doubt that the messenger matters. Religious teachings cover the gamut from moral conduct to metaphysical truth, and both the content and credibility of a religion’s message depend vitally on the character and conduct of its teachers. A religion cannot depend on someone to be an effective advocate for its religious vision if that person’s conduct fails to live up to the religious precepts that he or she espouses. For this reason, a religious body’s right to self-governance must include the ability to select, and to be selective about, those who will serve as the very ”embodiment of its message” and “its voice to the faithful.” Petruska v. Gannon Univ. 462 F.3d 294, 306 (C.A.3 2006). A religious body’s control over such “employees” is an essential component of its freedom to speak in its own voice, both to its own members and to the outside world. The right to organize voluntary religious associations to assist in the expression and dissemination of any religious doctrine, and to create tribunals for the decision of controverted questions of faith within the association, and for the ecclesiastical government of all the individual members, congregations, and officers within the general association , is unquestioned. All who unite themselves to such a body do so with an implied consent to this government, and are bound to submit to it. But it would be a vain consent and would lead to the total subversion of such religious bodies, if any one aggrieved by one of their decisions could appeal to the secular courts and have them reversed. Watson v. Jones, 13 Wall. 679, 728- 729, 20 L.Ed. 666 (1872). Hosanna-Tabor, 565 U.S. at 200-02 (Alito, J., concurring). For civil courts to engage in the pretext inquiry that respondent and the Solicitor General urge us to sanction would dangerously undermine the religious autonomy that lower court case law has now protected for nearly four decades. In order to probe the real reason for respondent’s firing, a civil court- and perhaps a jury­ – would be required to make a judgment about church doctrine. The credibility of Hosanna-Tabor’s asserted reason for terminating respondent’s employment could not be assessed without taking into account both the importance that the Lutheran Church attaches to the doctrine of internal dispute resolution and the degree to which that tenet compromised respondent’s religious function. If it could be shown that this belief is an obscure and minor part of Lutheran doctrine, it would be much more plausible for respondent to argue that this doctrine was not the real reason for her firing. If, on the other hand, the doctrine is a central and universally known tenet of Lutheranism, then the church’s asserted reason for her discharge would seem much more likely to be nonpretextual. But whatever the truth of the matter might be, the mere adjudication of such questions would pose grave problems for religious autonomy: It would require calling witnesses to testify about the importance and priority of the religious doctrine in question. with a civil factfinder sitting in ultimate judgment of what the accused church really believes, and how important that belief is to the church’s overall mission. Hosanna-Tabor, 565 U.S. al 205-06 (Alito, J., concurring). Connor, 975 A.2d at 1110 (internal citations and quotations omitted). Accordingly, the “ministerial exception” recognizes the right of a religious institution in exercising its First Amendment guarantee of religious liberty and autonomy in matters ecclesiastical to terminate from employment a Pastor such as Rev. Lee. Rev. Lee’s dispute with the Church regarding his termination from employment fully implicates such rights. 2. Consideration of the Ministerial Exception Is Appropriate in this case. Hosanna-Tabor, 565 U.S. at 195, n. 4. Rule 8(c) is a lineal descendent of the common law plea by way of “confession and avoidance,” which permitted a defendant who was willing to admit that the plaintiffs declaration demonstrated a prima facie case to then go on and allege additional new material that would defeat the plaintiff’s otherwise valid cause of action. Wright & Miller, 5 Fed. Prac. & Proc. Civ. § 1270 (Affirmative Defenses- In General) (3d ed.). The Supreme Court and the Third Circuit’s use of the term “affirmative defense” to refer to preservation in litigation of the religious institution’s free exercise rights should not stop this Court’s inquiry where the “ministerial exception” is not asserted by name in pleadings with the label “affirmative defense.” First, the “ministerial exception” is fairly incorporated into the Employment Agreement itself by virtue of its broad language referring to termination rights “by law;” and secondly, the Supreme Court referred to the exception as a “defense on the merits.” Here, the Church has advanced its rights to terminate Rev. Lee based on his failures as the Church’s lead Pastor as its “defense on the merits” and also as Rev. Lee’s material breach of the Employment Agreement. The Church also specifically set forth as affirmative defenses Rev. Lee’s failure of performance under the Employment Agreement and that any breach by the Church where Rev. Lee materially breached the Employment Agreement would not have been a material breach by it. (Docket No. 71 at 49, 58). The question then is has the Church sufficiently satisfied the requirement that the ministerial exception’s free exercise protection be asserted as an affirmative defense? In this Court’s estimation, the Church has adequately raised and preserved the matter. The Church has defended this action on the grounds that it did not breach the contract and has relied on the Agreement’s specific provision permitting termination by right as permitted by law. Indeed, the exhibits attached by Plaintiff to his motion assert the right of the Church and Congregation to determine certain matters, such as who will lead the flock and control and direction of the Church. (Docket No. 76-3 at 11, 6). Under the particular facts of this case, the right for a Church to determine who will lead it, unfettered, reasonably could be construed as an ordinary defense asserting that the contract could not be breached by the Church doing just that­ determining who will lead it. Alternatively, since this section of the Agreement, providing a basis for termination, and the Church’s indication that it had the right to terminate Rev. Lee for, inter alia, failures in spiritual stewardship and leadership, was asserted by the Church in multiple filings and in Rev. Lee’s own filings, Rev. Lee clearly was on notice of the defense. Finally, even if the ministerial exception regarding free exercise were not somehow preserved, excessive entanglement prohibited by the Establishment Clause operates as an impediment to Rev. Lee’s further prosecution of this matter. The Court will now address whether the ministerial exception as it related to free exercise operates as a bar and then will address excessive entanglement concerns. 3. Whether the Ministerial Exception is Abrogated by the Employment Agreement. Petruska, 462 F.3d at 310 (internal citations omitted). Petruska specifically acknowledged that a contract claim also might raise excessive entanglement concerns under the Establishment Clause of the United States Constitution, where resolution of that claim would result in inquiry as to the ecclesiastical policy of the religious institution. 462 F.3d at 311-3 I 2. Where the particular breach of contract claim can be decided without a state-imposed limit on free exercise and without excessive entanglement under the Establishment Clause, the case can continue forward. A court might determine that a breach of contract claim initially does not require such a prohibited inquiry, but subsequently may find excessive entanglement issues. 462 F.3d at 312. The Court further instructed in Petruska that where the religious institution’s response to the plaintiff’s claims raise issues that would result in excessive entanglement, including inquiry into the religious institution’s mission, doctrine or other ecclesiastical inquiry, “the claims may be dismissed on that basis on summary judgment.” 462 F.3d at 211-312. That a religious institution might burden its free exercise voluntarily by contract might eliminate free exercise concerns, but that would not resolve excessive entanglement concerns. The Church’s arguments and evidence on material breach crystallize the excessive entanglement issues presented by this case. Rev. Lee, although given ample opportunity, has not shown to the Court’s satisfaction that an award to him is simply a foregone conclusion under the contract, requiring no consideration by the court and jury of ecclesiastical matters. The Church acknowledges what the Supreme Court and the Third Circuit noted as an exception to the exception, which is the proposition that the Free Exercise clause of the First Amendment may not be implicated where the religious entity voluntarily chose to burden its rights through contract-in that scenario, the religious entity and not the court can be said to have voluntarily placed the constraints on its own free exercise. That a religious entity might put constraints on its own free exercise, would not, however, resolve excessive entanglement concerns. (15) The Church aptly states that “[t]here is no bright line distinction between what might be called non-ecclesiastical and what might be assuredly seen to be impinging upon questions of doctrine, especially when the most ministerial of all position is involved, that of the minister him- or herself:’ (Docket No. 90 at 6). Here the asserted reasons by the Church and Congregation for Rev. Lee’s termination implicate ecclesiastical matters, including church doctrine and polity, and threaten the prohibited entanglement. Rev. Lee relies on the fact that Petruska, which the Court notes was decided before Hosanna-Tabor and at the motion to dismiss stage, permitted a contract claim brought by a ministerial employee. The breach of contract claim brought by the plaintiff in Petruska, however. did not involve termination of the lead Pastor or the right of the church to determine who would lead it, but rather the change in certain assignments in the employment of a ministerial employee. The Third Circuit determined at the motion to dismiss stage that the contract claim was not then barred by the ministerial exception. The Court at the same time expressly noted the application of the ministerial exception required it “to determine only whether the resolution of the plaintiff’s claim would limit a church’s right to choose who will perform particular spiritual functions” Petruska, 462 F.3d at 305, n.8. In considering the plaintiffs particular claims in Petruska and applying this test, it determined the ministerial exception did not at that point bar the case from moving forward. That this case involves a breach of contract action brought by the Pastor and the Church, as opposed to some other type of action. does not perforce eliminate excessive entanglement concerns. The United States Supreme Court in Serbian Eastern Orthodox Diocese for U.S. of America and Canada v. Milivojech, 426 U.S. 696 (1976) instructed that matters of internal church government are at the core of ecclesiastical affairs, and where the church establishes rules and regulations for internal discipline and government and ecclesiastical tribunals decide disputes regarding the church’s governance and direction, the United States Constitution requires that the courts accept the decisions as binding. 426 U.S. at 724. In addition to the contractual provisions on cause as specified in § 12.3, the Church also cites to § 2.5, requiring the Pastor to work with the Deacons and the Church to achieve the Church’s mission, and the Church Bylaws and Constitution,16 which the Employment Agreement incorporates through § 7(b) with its provision that Church policies and procedures are to be followed by the Pastor as established by the Church from time to time. (Tr. 5/12/17 at 50; Docket No. 47-2, Exhibit C). The Constitution and By-Laws of the Church recognize the Congregation as the highest ecclesiastical authority in the Church and Church governance is vested in its members with ‘”the Lord Jesus the Christ as its only Head.” (Docket No. 47-2, Ex. C, Articles 2 & 5). They further provide duties and responsibilities of the pastor and tenure of the pastor limited by “his inability or unwillingness to fulfill responsibilities as “under-shepherd of this flock, at which time the church acts according to above order.” (Docket No. 47-2, Ex. C, Article 6). The By-laws further provide the express indication that the Church functions freely and recognizes “no ecclesiastical authority higher than the local assembly,” (Article 2); that the authority of the state must not interfere with the Church’s authority. (Article 3); beyond “the Lord Jesus Christ as its only Head,” the governance of the Church is vested in its Congregation and it is not amenable to another Ecclesiastical Body, (Article 5); and the Pastor shall have an unlimited tenure subject to inability or unwillingness to fulfill his responsibilities as the under-shepherd of the flock. (Article 6, § 6.1). As urged by the Church, this ecclesiastical hierarchy appears under Hosanna-Tabor to preserve in this Court’s estimation the absolute right and autonomy of the Congregation to determine whether the Pastor was fulfilling his duties to the Church. Assessing, through the vessel of this breach of contract action, the validity of the Congregation’s reasons for removing Rev. Lee from their pulpit, and the Congregation’s right to do it, undoubtedly strikes at the heart of prohibited ecclesiastical considerations. The Church cites to one of the “property cases” referred to in Hosanna-Tabor, Presbyterian Church in 1he United States v. Mary Elizabeth Blue Hull Memorial Presbyterian Church, 393 U.S. 440 (1969), and to a similar state law case, Presbytery of Beaver-Butler of the United Presbyterian Church in the United States of America v. Middlesex Presbyterian Church, 489 A.2d 1317 (Pa. 1985), regarding the “deference rule” under the Establishment Clause of the First Amendment. The “deference rule” encompasses the doctrine that courts must leave matters ecclesiastical to the Church’s domain in avoidance of excessive entanglement. 393 U.S. at 451; 489 A.2d at 1321. Mary Elizabeth Blue Hull Memorial Presbyterian Church focused on the withdrawal of a local church from its membership in the general church and the property dispute between the two that resulted regarding title in the local church of certain church property. The Supreme Court in that case addressed whether the First Amendment circumscribes a civil court’s place in resolving a dispute over church property. It reversed the Supreme Court of Georgia’s decision upholding a jury award of church property to the local church on the basis of the jury’s finding that the general church had abandoned original tenets and doctrine in adopting new tenets and doctrines on which the general church was founded. The Supreme Court ruled that the “courts have no role in determining ecclesiastical questions in the process of resolving property disputes.” 393 U.S. at 447. Id. at 449 (internal citations omitted) (emphasis added). Where resolution of a dispute does not require “the courts to engage in the forbidden process of interpreting and weighing church doctrine;” Id. at 451, the courts have a proper role in adjudicating the matter. In Presbytery of Beaver-Butler, the Pennsylvania Supreme Court adopted the neutral principles approach espoused by the United States Supreme Court and indicated that the same principles of law apply to religious and non-religious associations where the dispute docs not involve or require any ecclesiastical inquiry. 489 A.2d at 1323. The Pennsylvania Supreme Court, however, recognized its prior decisions that required Pennsylvania courts “to yield the gavel to the ecclesiastical hierarchies” where there were religious entanglements presented. Id. at 1323. Although the Court of Appeals in Petruska reversed the district court’s dismissal of the contract claim and remanded it back to the district court. it did so because it determined that it could not “conclude that review of this claim wou Id. at the outset, unconstitutionally entangle the court in religion.” 462 F.3d at 311 (emphasis added). In so ruling, the Court considered Lemon v. Kurtzman, 403 U.S. 602, 612-613 (1971 ), and determined that the third prong of the Lemon test, which considers an excessive government entanglement with religion, applied. Following its prior opinion in Geary v. Visitation of Blessed Virgin Mary Parish School, 7 F.3d 324 (3d Cir. 1993), the Petruska court determined that at that stage in the litigation the particular matter did not present entanglement because it determined that the claim at issue had not yet necessarily or inevitably lead to inquiry into the church’s religious mission or doctrines or other ecclesiastical inquiry. Petruska, 462 F.3d at 3 I2. Yet, it cautioned, consistent with Minker v. Baltimore Annual Conference of United Methodist Church, 894 F.2d 1354 (D.C. Cir. 1990), and Geary, that if the issues the consideration of which would result in excessive entanglement at a later stage. dismissal would be the appropriate action by the court. Petruska, 462 F.3d at 312. Similarly, “[i]n the D.C. Circuit. the ministerial ‘exception does not bar a breach of contract claim when resolution of such a claim is ‘ subject to entirely neutral methods of proof.” Gregorio v. Hoover, — F. Supp. 3d —, 2017 WL 780784, at *4 (D.D.C. Feb. 28, 2017) (quoting Minker, 894 F.2d at 1359–61. Minker fully recognized that although a church is free to voluntarily contract, matters of ecclesiastical policy might present and prevent the case from moving forward in court on summary judgment, but if the contract matter may be determined entirely based on neutral principles and without excessive entanglement in religious doctrine, dismissal at an earlier stage may be premature. Gregorio, 2017 WL 780784, at *6 (involving minister’s breach of contract claim regarding payment of a stipend). Rev. Lee relies on Geary, cited in Petruska, in arguing that this case would not cause excessive entanglement as in Geary where the case required determination as part of the pretext inquiry as to what motivated the employment decision. as opposed to the validity or the religious institution’s beliefs. Geary, decided prior to Hosanna-Tabor notably did not involve the determination of whether the Church should continue the employment of its lead pastor for failures in spiritual leadership, rather it involved a lay teacher in an elementary school, 7 F.2d at 331, and thus, provides little guidance here. This case presents a very different proposition. The Church consistently has offered as the material breach of the contract Rev. Lee’s failures in spiritual stewardship, financial stewardship and responding to Church leaders as determined by the Congregation in the first instance. Several cases warn that such a context, involving Church doctrine, ecclesiastical matters and matter s of polity alters the analysis. “A harder question is posed by Nevius’s claim for breach of contract. The First Amendment does not place the internal affairs of religious organizations wholly beyond secular jurisdiction. While the court may not mediate a theological dispute, a plaintiff may nonetheless survive a motion to dismiss her contract claim if she can show that some form of inquiry is permissible and some form of remedy is available … Thus, Nevius could maintain her breach of contract claim in this court if there were “neutral principles of law.. which the court could apply without venturing into ecclesiastical territory. Nevius, 51 I F. Supp. 2d at 120 (internal quotations and citations omitted). As in Nevius, the basis for the Congregation’s decision here not only treads closely to religious affairs, it dives straight into religious waters. Friedlander v. Port Jewish Cir., 347 F. App’x 654, 655 (2d Cir. 2009); see Friedlander v. Port Jewish Cir., 588 F.Supp.2d 428 (E.D. N.Y. 2008) (indicating breach of contract action), aff’d 347 F. App’x 654 (2d Cir. 2009). “Similarly, the contract and interference with contract claims relating to All Saints’ ending Father Warnick’s full-time ministry and choosing not to give him part-time ministry are precluded from civil court analysis because of the deference rule and ministerial exception. Canonical and ecclesiastical discretion are at the core of Church decisions over who can serve as a priest. Father Warnick acknowledges that an employment contract to be a priest could be entered into on v with the Bishop’s approval. Church authorities’ and congregants’ communications about a priest’s continued ministry within a Church also implicate canonical discretion and would require interpreting the Canons in order to assess whether such communications were privilege d. Moreover, as discussed more fully in Section B, neither a party to a contract nor any party’s agents can tortiously interfere with their own contracts. But in order to assess this claim, this Court would have to decide whether the Bishop can be found liable for interfering with alleged contracts – that is, whether he was a third party to those contracts or whether he had to approve those contracts himself; this would again require the Court to interpret the Canons. Warnick, 2014 WL 11 210513 , at *10 (internal citations omitted). Warnick, 2014 WL I 1210513, at* 11.
termination and cannot avoid the problems with autonomous church governance protected by the First Amendment. (Docket No. 90 at 13) (citing Minker v. Baltimore Annual Conference of United Methodist Church, 894 F.2d 1354 (D.C. Cir. 1990). Under Hosanna-Tabor, the Church argues that if the Court finds that a material breach constitutes cause per the contract, then it may consider what the reasons are that the Church maintains constitute material breach, but it can go no further to delve into the underlying reasons for cause if they include matters of church doctrine or ecclesiastical rule as resolution of those matters is left to the Church alone. (Tr. 5/l 2/l 7at 35); (Docket No. 90 at 13). 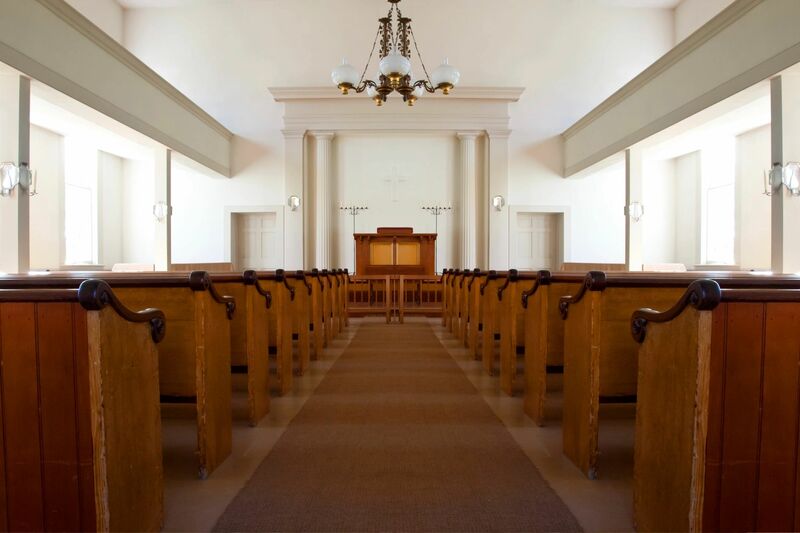 This Court determines that failures in spiritual and financial stewardship as well as failure to cooperate with Church leaders would constitute cause under the Agreement and Pennsylvania law. State law on materiality of breach provides that materiality can be decided as a matter of law, Norfolk S. Ry. Co. Basell USA, Inc., 512 F.3d 86, 92-93 (3d Cir. 2008), although it is ordinarily a question of fact for the jury. The bases urged by the Church for Rev. Lee’s termination constitute a material breach of the Employment Agreement excusing the Church’s obligation to perform under§ 12.2 by providing salary and benefit payments to Rev. Lee. The cases on the ministerial exception and excessive entanglement counsel that even where in theory the matter of a religious institution’s breach could be a question of fact for the jury, the ministerial exception and excessive entanglement might apply to prevent further consideration by the Court and/or jury depending on the reasons asserted by the religious institution for its alleged breach. Curay-Cramer v. Ursuline Acad. of Wilmington, Delaware, Inc., 450 F.3d 130, 138 (3d Cir. 2006). acknowledged in the labor practice setting, that “the very process of inquiry” into church motives and good faith as it relates to the mission of the church can impinge on rights guaranteed by the First Amendment. Here, as to cause, the Court concludes that any determination whether Rev. Lee failed in his spiritual and financial stewardship and responsiveness to Church leaders is a matter best left to the Church alone. Otherwise, the Court and jury would need to probe how the Church evaluated spiritual success and leadership under its doctrine, which both the Agreement and By­ laws reference in doctrinal terms. The financial stewardship issue, for example, also would require considering whether members and Church attendees decreased their giving in order to thwart Rev. Lee’s continued ministry, as suggested by Rev. Lee in his deposition, (Docket No. 88-1 at 18-19), or for spiritual reasons and whether and to what extent they were led by the Spirit in the great commission to bring souls to Christ, (Docket No. 76-4 at 13), also a prohibited ecclesiastical inquiry. Prohibited considerations of ecclesiastical hierarchy are directly implicated in the assessment that Rev. Lee did not adequately respond to Church leadership. This Court does not interpret Hosanna-Tabor and Petruska as establishing a broader principle applied to matters involving ecclesiastical employment that so long as a church asserts that it has cause for termination of an employment contract that very uttered justification affects a denouement. If this Court had agreed with Rev. Lee that the only permissible bases for termination with cause were those indicated in § 12.3(i) and (ii), the ministerial exception and excessive entanglement would not necessarily raise an insurmountable problem because the Church does not claim either §12.3(i) and (ii) as the basis for its decision. Whether one could imagine scenarios involving Rev. Lee’s termination by the Church that would not present thorny excessive entanglement problem, (18) such as if the case involved the Church contending Rev. Lee simply refused to present for work with Rev. Lee disputing same, cannot save Rev. Lee’s claim from the excessive entanglement bar and the ministerial exception. Rev. Lee has been given a full and fair opportunity to show that his case does not require delving into doctrinal and ecclesiastical matters and church polity, but under the particulars of this church dispute, his showing fails. The material breach urged here-the threefold spiritual failures as determined by the Congregation-pierces the very heart of ecclesiastical matters protected from intrusion by the courts. Accordingly, this Court must dismiss Rev. Lee’s case. “[i]t could turn out that in attempting to prove his case, appellant will be forced to inquire into matters of ecclesiastical policy even as to his contract claim. Of course, in that situation, a court may grant summary judgment on the ground that. . . pursuing the matter further would create an excessive entanglement with religion…. [W]hile the first amendment forecloses any inquiry into the Church’s assessment of Minker’s suitability for a pastorship. even for the purpose of showing it to be pretextual, it does not prevent the district court from determining whether the contract alleged by Minker in fact exists. Consistent with Hosanna-Tabor and Petruska. the Church, and not the Court or an empaneled jury, is the final arbiter of the particular bases for cause urged by the Church and considered by its Congregation. Otherwise, the Court and eventual jury would be entangled improperly in ecclesiastical matters. The Court agrees with Minker’s remark on the matter: “[the Court] cannot imagine an area of inquiry less suited to a temporal court for decision; evaluation of the ‘gifts and graces’ of a minister must be left to ecclesiastical institutions.” 894 F.2d at 1357. See also Natal v. Christian Missionary Alliance, 878 F.2d 1575, 1578 (1st Cir.1989) (“By its nature, the inquiry which Natal would have us undertake into the circumstances of his discharge plunges an inquisitor into a maelstrom of Church policy, administration, and governance. It is an inquiry barred by the Free Exercise Clause.”); Kaufmann v. Sheehan, 707 F.2d 355, 358 n.3 (8th Cir. 1983) (“[C]ivil courts are bound to accept the decisions of the highest judicatories of a religious organization … on matters of discipline, faith, internal organization, or ecclesiastical rule, custom, or law. For civil courts to analyze … the ecclesiastical actions … must inherently entail inquiry into the procedures that canon or ecclesiastical law supposedly requires the church adjudicatory to follow, or else into the substantive criteria by which they are supposedly to decide the ecclesiastical question. But this is exactly the inquiry that the First Amendment prohibits.”). The possible eventual problem that had not presented on the motion to dismiss in Minker is the very case presented at this stage in the litigation (19) and the reason why the case must be dismissed. Rev. Lee cannot show that this case can be resolved without interference with free exercise and without excessive entanglement. There is no question that Rev. Lee has had the opportunity to fully develop the record. Discovery has closed. The parties have been given a full opportunity to address the issues through briefing, (Docket No. 89), and at the May 12, 2017 hearing. Moreover, as shown above, the Court has vetted Rev. Lee’s arguments from multiple vantages. Based on the foregoing, the Motion for Summary Judgment  filed by Plaintiff will be denied and Rev. Lee’s claim will be dismissed under the ministerial exception and due to prohibited excessive entanglement issues preventing this matter from proceeding any further. Accordingly, judgment will be entered against Plaintiff , Rev. Dr. William David Lee, and in favor of Defendant, Sixth Mount Zion Baptist Church of Pittsburg d/b/a the Sixth Mount Zion Missionary Baptist Church. An appropriate order follows. 13. A potential problem presents with the view that the ministerial exception is encompassed in that it might potentially effectively gut § 12.2, in violation of the rule against superfluidity. But given overarching constitutional implications of the ministerial exception, that rule would appear to give way. Additionally, the Church admits that if the Church had offered no reason or no real cause for termination, then §12.2 would be in play and§ 12.2 would have potential effect. The Church appeared to argue at the hearing that it was the sole arbiter of whether it had indicated cause or no cause, which Rev. Lee rightly contested. (Tr. 5/12/17 at 28, 40). The Church did not offer any support to establish it unilaterally determines whether it has offered cause or no cause. The Court rejects this approach because the Court is fully capable of determining in the first instance whether the reasons asserted by the Church and Congregation for terminating Rev. Lee implicate only the “without cause” provision contract might eliminate free exercise concerns, but that would not resolve excessive entanglement concerns. 14. Hosanna-Tabor noted specifically that an award of relief in a discrimination suit such as backpay and compensatory damages “would be no less prohibited by the First Amendment than an order overturning the termination. Such relief would depend on a determination that [the Church] was wrong to have relieved [the minister] of her position, and it is precisely such a ruling that is barred by the ministerial exception .” 565 U.S . at 194. Rev. Lee argues that the contract claim here is distinguishable because an award of damages to Rev. Lee would not operate as a penalty on the Church for terminating an unwanted minister because it does not matter whether the Church was right or wrong in its decision and he does not challenge the validity of the employment decision or the authority of the Church to make it, but only seeks to enforce the terms of the Agreement as a result of the Church’s decision. (Docket No. 91 at 6). Thus, Rev. Lee’s position is that the Church was free to terminate his employment, but that it just has to pay for that decision. Id. at 7. This approach reveals a potential conflict with Hosanna-Tabor’s instruction that enforcement of the penalty for termination of a minister’s employment by a religious institution is tantamount to a decision that the religious institution was wrong in terminating that minister, which interferes with the religious institution’s right to choose who will lead it- an ecclesiastical matter strictly left to the religious institution. This is not a case where the breach of contract claim is in terms of assignments, vacation time, rate of pay, or a stipend, but instead is a claim that goes to the heart of the Church and Congregation’s decision that it no longer wanted Rev. Lee to lead it for various failings. A ruling in favor of Rev. Lee conceivably could still be viewed as a punishment inflicted by a court against a church for terminating its head pastor – which threatens to evade the very spirit and purpose of the ministerial exception. Enforcement of the resulting judgment appears to be the very punishment of a church for failing to retain an unwanted minister that the Supreme Court determined would ..intrude upon more than a mere employment decision.” 565 U.S. at I 88. It is not lost on the Court that the particular employment decision is not regarding just any ministerial employee, as was involved in the seminal cases of Hosanna-Tabor and Petruska – here it involves the Church’s head Pastor. Nevertheless, Hosanna-Tabor and Petruska pre-suppose that a judgment in contract in favor of a former pastor and against a church might under some circumstances pass muster. Given this Court’s position that the Employment Agreement at issue here encompasses application of the ministerial exception and also that excessive entanglement concerns bar this matter proceeding any further, the import of such a judgment need not be resolved. 15. Rev. Lee’s position throughout wholly ignores the import of the doctrine against excessive entanglement. A church might, for example, enter into a contract with its pastor that provides for termination only for a failure in spiritual leadership. In that scenario, the church may be said to have “burdened its own right” to Free Exercise, but if the church were to terminate it pastor purportedly for failure in spiritual leadership and the pastor then contended he did not have any failure in spiritual leadership, what then should the court do? In the Court’s estimation excessive entanglement would rise up as the primary concern in resolving that dispute- whether the pastor failed as a spiritual leader of that church. That very concern has arisen here as an insurmountable barrier to any further progress in this litigation. 16. Rev. Lee conceded that the Court rightfully could consider the bylaws and constitution as it relates to the Pastor’s duties. (Tr. 5/12 /17 at 25). 17. Agreement § 2.5, for example, provides the Pastor ..shall work with the Deacons and CIIURCII staff in achieving the Church’s mission of proclaiming the Gospel to believers and unbelievers.” (Docket No. 76-3). 18. If the Church, for example, asserted that if it had offered § 12.3([) or (ii) as the justification for Rev. Lee’s termination. then First Amendment concerns would not prohibit the Court. and jury by extension, from considering the evidence regarding the proffered violation of law or incapacity to resolve the matter. The Church concedes that not all bases for material breach would prohibit the case from proceeding- it simply maintains that the reasons for material breach here do. Tr. at 34-35, 38. The Church, however. contends and the evidence supports that Rev. Lee’s inadequate spiritual leadership and financial stewardship were material breaches of the Contract and were the reasons expressed by the Congregation for his termination. Not surprisingly. the Employment Agreement being between a Church and its head pastor is imbued throughout with religious doctrine and matters of ecclesiastical hierarchy, and the Church relies on these provisions in its defense . 19. The Church initially indicated that “full development of the evidence” is required to properly judge whether the action is precluded on First Amendment grounds. ( Docket No. 90 at 6). In the final sentence of its brief, however, the Church offers essentially that if the Court ”is satisfied'” that Rev. Lee has had the ability to fully develop the record, and on a motion for summary judgment filed by Rev. Lee it is indicated that Rev. Lee is satisfied with his opportunity, “then the case is ripe for dismissal at this time: if not, the decision must be made prior to the issue being submitted to the jury.” Id at 14. At the hearing, the Church finally posited that the matter is now at the stage where dismissal on First Amendment grounds would be appropriate . (Tr. 5/12/17 at 49-51).